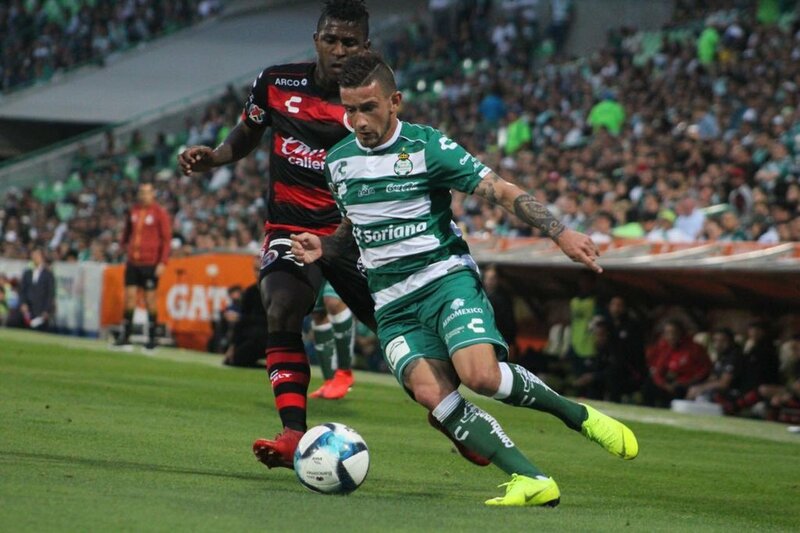 The Tijuana Xolos played their sixth game in the Liga MX 2019 Clausura this Sunday, Feb.10, as the Border City Dogs visited Santos Laguna at the Estadio Corona TSM. The game was set to be a tough match for Club Tijuana as Santos had been undefeated at home last season and were off to a decent start this season. 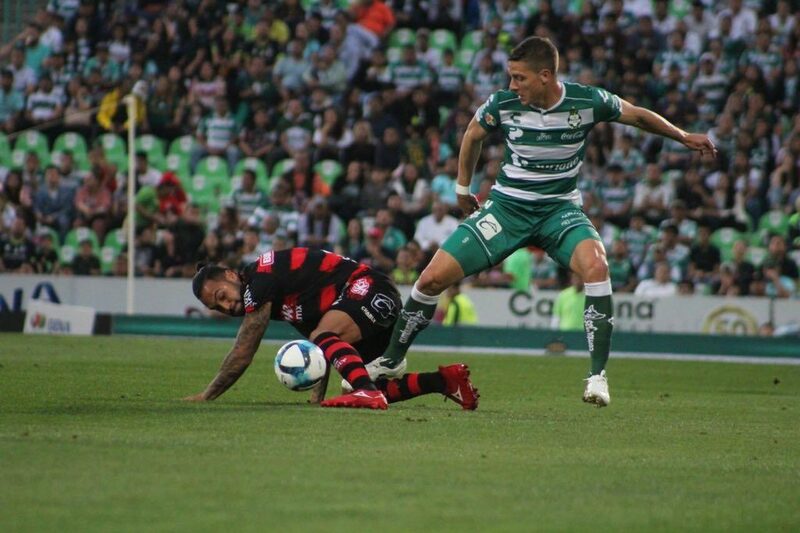 The Xoloitzcuintles were coming off their second win of the season, a 2-0 victory against Toluca and the significant signs of improvement continued in this match. Oscar Pareja repeated the lineup that was able to get that win against Toluca that featured the promising attack with Miller Bolanos, Gustavo Bou, Fabian Castillo, and Ariel Nahuelpan. The Border city side struck early with a goal by Miller Bolanos in the 20th minute of the encounter. The goal came when Fabian Castillo sent a chipped pass that found the Ecuadorian inside of the penalty area. Bolanos then chipped it over Santos Laguna goalkeeper Jonathan Orozco and pushed the ball into the back of the net. The Aztec Canines controlled possession in the first half but were unable to keep their lead in the second half. Javier Correa tied it up for the Celestial Warriors in the 58th minute of the clash with a strike off a corner kick that made the Xolos’ backline seem foolish. Oscar Pareja slowed the rhythm of the game after that goal by replacing attackers with midfielders. First, Diego “Pulpo” Gonzalez replaced Miller Bolanos in the 61st minute, then Luis Chavez came on for Gustavo Bou in the 73rd minute. In the 83rd minute, midfielder Ignacio Rivero was replaced by centre-back Juan Carlos Valenzuela to help seal the 1-1 scoreline. The game ended in a 1-1 draw as the Xolos played a very conservative style of play in the second half with just 35-percent possession in it. As mentioned before, the Xoloitzcuintles keep on showing important signs of improvement, now undefeated in their last two games. Club Tijuana is currently in 13th place with seven points, just two points out of a playoff spot as the team now focus on 17th-place Veracruz in Week 7 of the Liga MX 2019 Clausura.